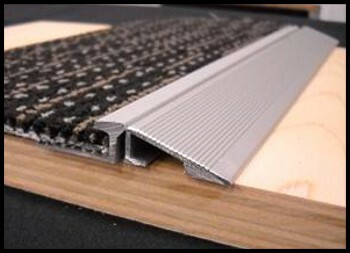 CTC Tranz provides a smooth transition between floor coverings of different heights. 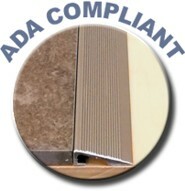 It meets ADA standards for height/width floor layout compliance. 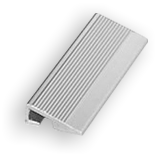 Our Tranz can be glued into place with a construction adhesive, or it can be mechanically fastened to any substrate. 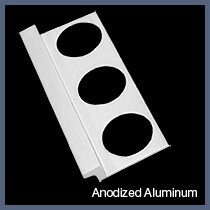 Provide anodized aluminum transition where non-level flooring surfaces meet. Must meet ADA Guidelines. 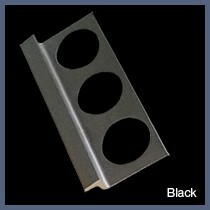 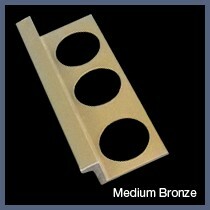 Height to match tile, stone or wood thickness. Available in clear & bronze finish.